Dutton Books for Young Readers, 9780399187315, 176pp. Naama Bloom is the founder of HelloFlo.com, a modern-day health site for girls and women. Her mission for HelloFlo was to create a place where women and girls could learn about their bodies in an open and honest environment without any shame and with a healthy dose of humor. HelloFlo’s first two videos, “The Camp Gyno” and “First Moon Party,” have been viewed over 50 million times and show girls that while puberty can be awkward at times, it can also be fun and empowering. She lives in Brooklyn, NY, with her husband and two children. 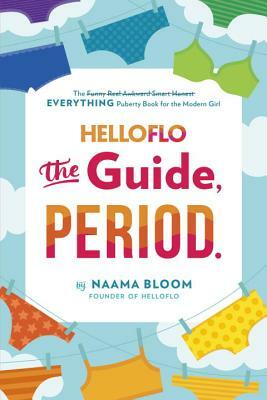 HelloFlo:The Guide, Period. is her first book.